The year 2014 witnessed various transformations in the way education industry functions. With the advent of experiential learning in the teaching methodology, a new and innovative approach to education was noticed via smartboard teaching which enables pupils to get a better understanding of the concepts taught in the classrooms. These emerging educational trends have made learning fun and encourage inclusive education. Modern education tools support holistic and overall development. Experiential learning came to the forefront. Gone are the days when mugging was the only way to get academic prowess. Welcome to the new world of smart boards audiovisuals and theme based learning which have proved to be a hit among learners and teachers. The popularity of such tools can be judged by the student’s improved participation and overall personality enhancement. What started as a pilot project has now become a norm, as more and more schools are reaping the benefits of smart education, be it maths, English, history, etc., learning is fun for one and all. A study has found that over 46 percent of teachers are using video in the classroom to explain a particular topic. The same study also found that one-third of students access video online to get a better understanding of the topic. For decades intelligence was the only yardstick to judge student’s capabilities but thanks to the awareness generated and overall experience, emotional quotient or EQ has now become one of the major criteria when it comes to judging a child’s potential. Intelligence quotient is a value that indicates a person’s ability to learn, understand, and apply information and skills in a meaningful way and now educational institutes have been encouraging faculties to resort to such effective practices. Thanks to the advancement of technology now students and teachers remain connected via the various mode of communication, which has improved student-teacher rapport. Now teachers can make countless real-time decisions and technology facilitate dozens of interactions between them and their students. 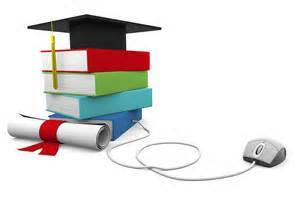 Advancement in technology has given the new dimension to rapport of students and teachers. Just a couple of years ago OMR based exams were the only mode when it came to taking a competitive exam. But anymore. Now it is an era of online examinations. In today’s world applying for an exam just takes about 20-25 minutes, everything is so handy. One click of a mouse, you are done. The convenience of online examination is encouraging more and more institutes to adapt to online examination. Every year in India alone over one crore students appear for various competitive and institutional exams via the internet, and this trend is going north. Mobile, the new handbook: From appearing for a mock exam to check the result and to receive the receipt of a form everything is done via a Smartphone. It has replaced the one ubiquitous pocket dictionary as well. In fact, the mobile has also taken education content to far and flung areas of the world, where it was even difficult to get a hard copy of the textbook or one’s favorite book. The advent of mobile apps has made learning fun indeed. The creativity, availability, and affordability of mobile apps have made them a hit among all.